PREVIOUS MODEL HOME ON PARCEL 3 IS PICTURED. THIS IS A ''TO BE BUILT'' OPPORTUNITY. This 5 bedroom, 51/2 bath custom built home with a private boat slip is a family or investors dream. 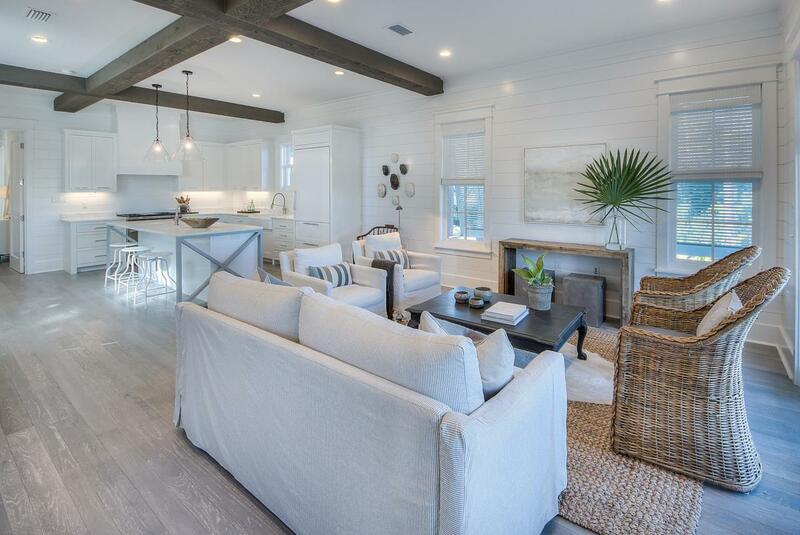 This exquisite Magnolia Floor Plan custom built by local builder Luke & Blue boasts 3658 SqFt of living space and spectacular views of one of the most beautiful coastal dune lakes. Each floor of this home provides impressive views of Western Lake all while overlooking the community swimming pool area.Open concept living is truly represented in this home. Behold the lake views as you enter the 2nd floor into the inviting custom built kitchen. 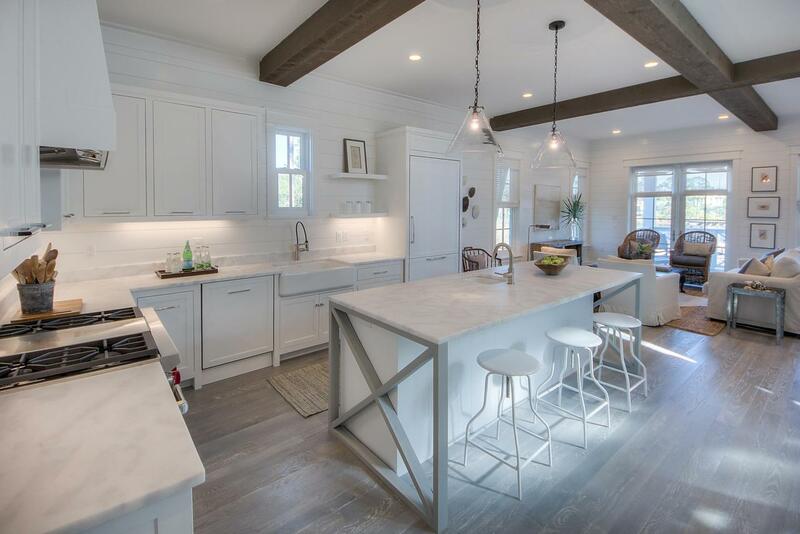 The solid wood cabinetry with dovetail joinery and cushioned close hardware, marble counter top, Wolf 36'' 6 burner all gas range and Sub-Zero 36'' built-in refrigerator are some of the features of the kitchen. 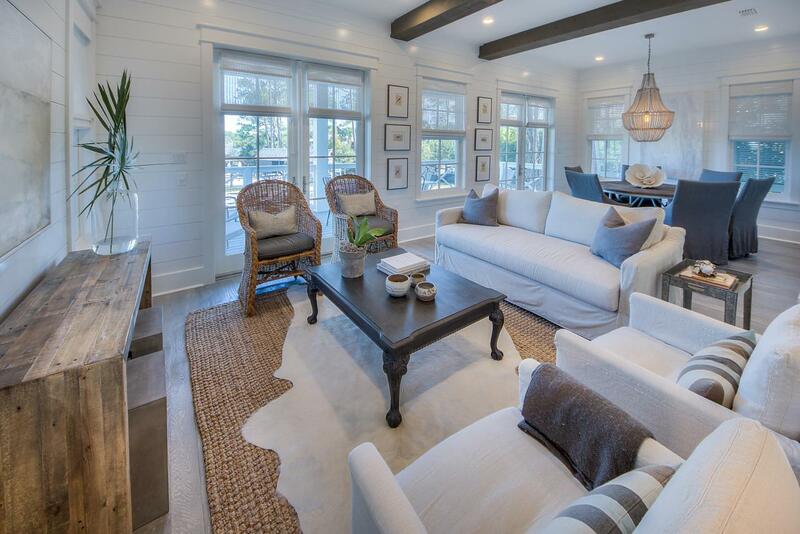 The hospitable open living allows for dining and entertaining indoors and al fresco on one of the two covered porches. The master suite completes the 2nd floor living area with a custom built walk-in closet. The en suite bath showcases multiple shower heads, dual vanity sinks with quartz counter tops and a freestanding bathtub. Take the stairs or better yet, ride the elevator to the 3rd floor! This floor has an additional three bedrooms and laundry. The two western facing bedrooms also have en suite baths with custom cabinetry and quartz counter top. One of the bedrooms has a walk-in closet while the other has 2 separate closets allowing for additional storage space. Facing the waters of Western Lake is the 2nd master bedroom. Instant relaxation is the feel of this master bedroom. Views of the lake can be enjoyed while relaxing in your chamber or step outside onto the covered porch enjoying a glass of wine to end the day. The en suite bath is not to be missed in this gorgeous master suite. Custom cabinetry, multiple shower heads, double vanity sinks and more details that highlight luxury. The 4th floor is an absolute treat to those who enjoy natural light. This final level has a custom built bunk room with FOUR closets and a balcony allowing for natural light to encompass the room. 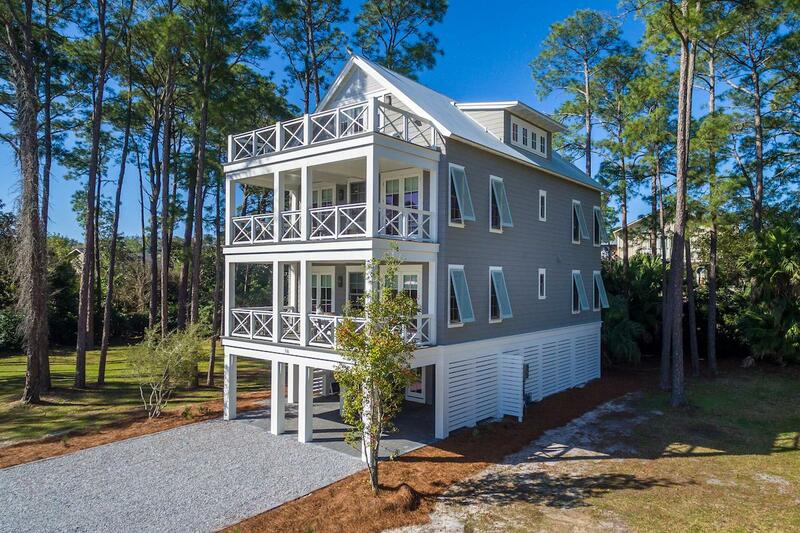 Grab a cold drink at the wet bar on the way to relax in either the loft area or the open porch (finished with high level resistance Trex decking) to enjoy the beauty of coastal Florida living. This property is large enough to accommodate a private pool and/or an outdoor fire pit at the election of the buyer. However, addition of any private amenity will be priced separately from the list price of the property. Community features include: private gated community with 6 exclusive residences situated on 1.5 acres on Western Lake, community swimming pool fronting Western Lake with sundeck, outdoor kitchen, grill & bathrooms, private access to Western Lake including; boat dock with 6 slips (each owner has an assigned slip) & boat ramp, approximately 175 linear feet of frontage on Western Lake & a 5-minute walk to the white sand beaches of the Gulf of Mexico.